EASY SET FOR TRANSPORT: The Kubota RA1035 width can be reduced to 5 ft. 9 in. for transport and storage by placing the tine arms on the carrier frame. 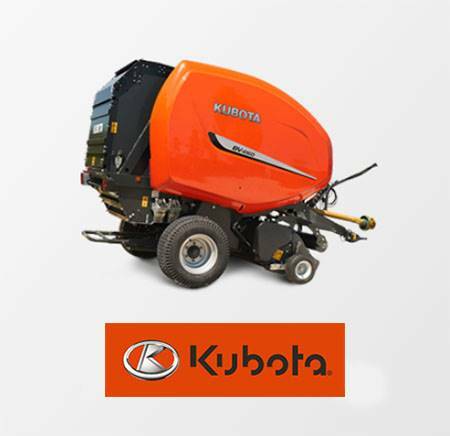 The Kubota RA1042T can be easily converted to 6 ft. 7in. for transport and entering into smaller fields or narrow gates. 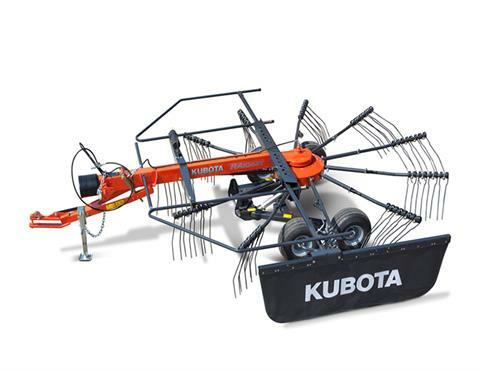 OUTSTANDING DURABILITY: The Kubota rakes are equipped for maximum raking performance. The FarmLine rakes all feature 9 mm wire diameter tines for outstanding durability. IDEAL FOR LOW HORSEPOWER TRACTORS: The Kubota RA1035 and RA1042T single rotary rakes are designed for low power requirements, while still delivering considerable working width of 9 ft. 2 in. and 11 ft. 6 in. with swath and 10 ft. 2 in. on the RA1042T and 13 ft. 9 in. including swath, respectively. With a pivoting three point linkage machine (RA1035) as well as a trailed version (RA1042T), there is a model to meet any field or crop needs. Transport - 5 ft. 9 in. Parking - 5 ft. 7 in. Tine diameter - 0.35 in. Single - 9 ft. 2 in.